A quirky and endearing romantic comedy for fans of Eleanor Oliphant is Completely Fine, Still Me and Three Things About Elsie. Don Tillman has got his love life planned out. He knows exactly who he wants, but is it who he needs? A thirty-nine-year-old geneticist, Don's never had a second date. So he devises the Wife Project, a scientific test to find the perfect partner. 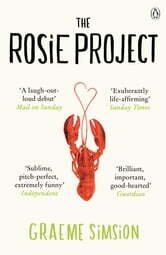 Enter Rosie - 'the world's most incompatible woman' - throwing Don's safe, ordered life into chaos. But what is this unsettling, alien emotion he's feeling? 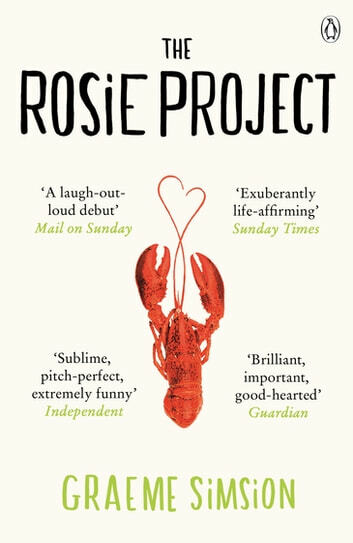 If you loved The Rosie Project, find out what Don did next in The Rosie Effect, and PRE-ORDER The Rosie Result NOW - the hilarious and heart-warming conclusion to the trilogy! An easy read, very funny but at the same time serious. Cant wait to read sequal. As a school teacher i can relate to don,s behaviours. I laughed, I cried. Very easy to read. I'm very much looking forward to reading the next instalment. Best characters ever! The leading character reminds me of Sheldon Cooper, from the series "Big Bang Theory". Have fun reading this story! I loved it! Quirky style, good yarn. Most enjoyable.